Comprehensive education for every age! Our program offers a unique, customized curriculum for each age level. Our hands-on, developmentally appropriate activities target all aspects of early childhood development, while emphasizing the love of Jesus Christ. The accelerated elementary curriculum emphasizes the basic skills of reading and math augmented with studies in English, spelling, science, history, handwriting and health. All enhanced through critical thinking activities and hands-on projects. 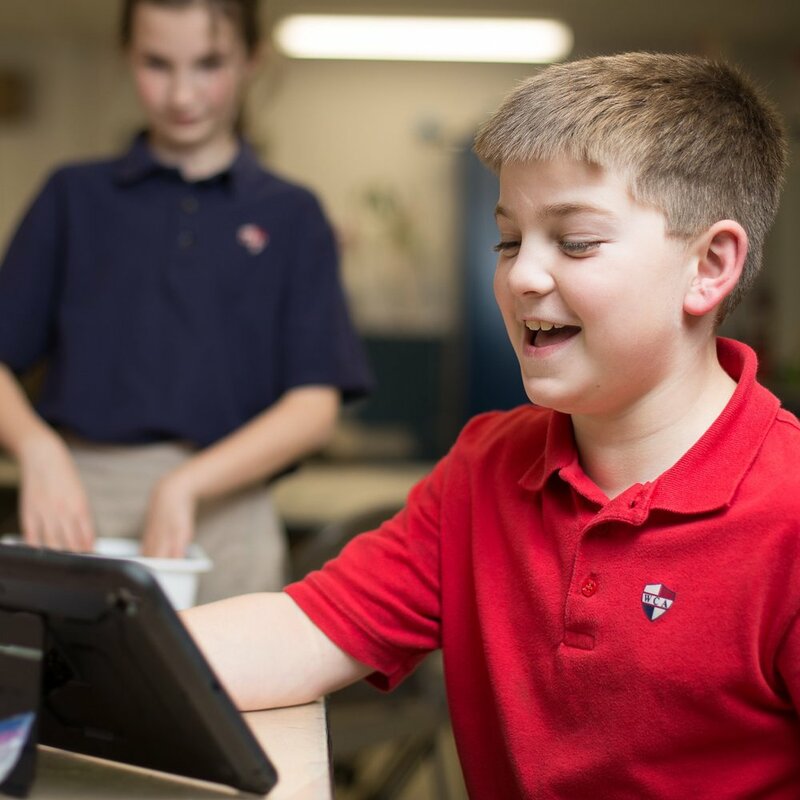 The middle school program is designed to augment basic academic skills in an enjoyable environment that encourages group interaction while developing individual responsibility and spiritual discernment. The senior high program challenges students to maximize their God-given intellectual abilities. From basic college prep courses to Advanced Placement and college credit offerings, students are equipped to acquire knowledge, think critically and communicate effectively.